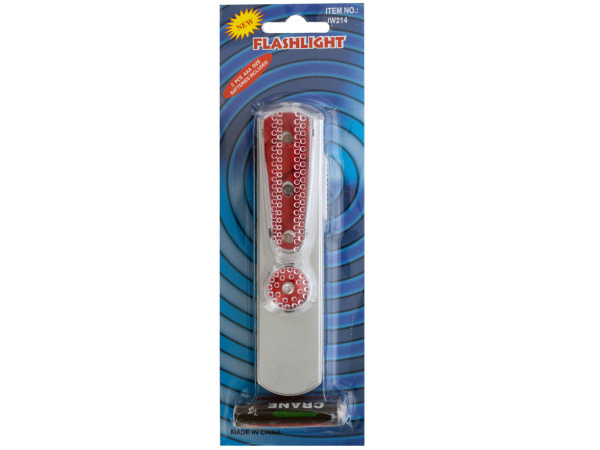 Great to have around for emergencies and general use, this Pocket LED Light with Clip and Batteries is compact and provides a bright light with 5 LEDs. Measures approximately 4.75" x 1" x 1". Requires 2 x AAA batteries (included). Comes packaged in a hanging box.